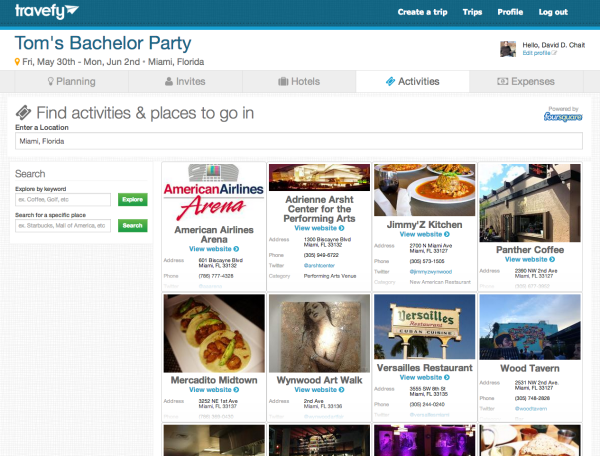 We are thrilled to announce the release of Travefy’s brand new integrated activity search and booking engine. Discover restaurants and activities! Now, you can search for restaurants, landmarks, and activities to pin to your trip wall for discussion as you plan your ideal itinerary. 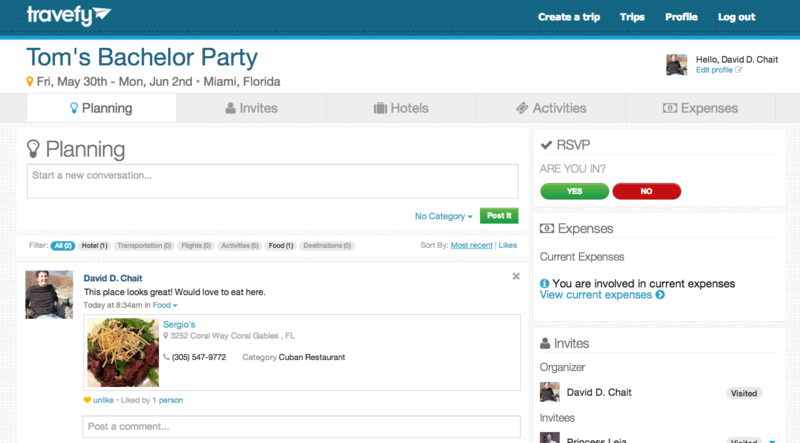 This enhancement is a part of our mission at Travefy, to simplify all of the coordination headaches of group travel. Through Travefy, you and your friends can collaborate on trip itineraries, book travel deals, and manage shared expenses. After you create a trip on Travefy.com and you’re on your personal Trip Planning page, simply click “Activities” in the toolbar along the top to search for restaurants, landmarks, and activities. 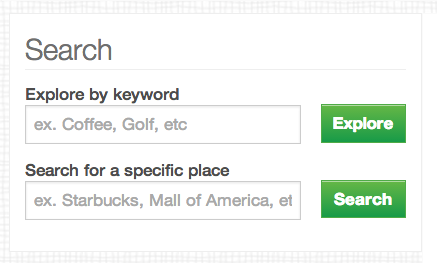 If you have already selected a trip location, results will automatically populate. If you haven’t already set a location, you can add the name of any city or landmark to search and the city can be changed at any time. 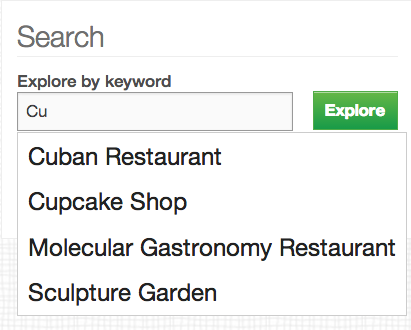 You can also refine your results by searching by keyword (e.g., Pizza Place, Art Museum) or by searching for a specific location (e.g., Starbucks, Lazlo’s Grill). If you see a restaurant, landmark, or activity you like, simply click it and then select “Pin to wall for discussion.” Add an optional comment and that activity is now pinned on your private trip wall for discussion and voting as you plan your perfect itinerary.